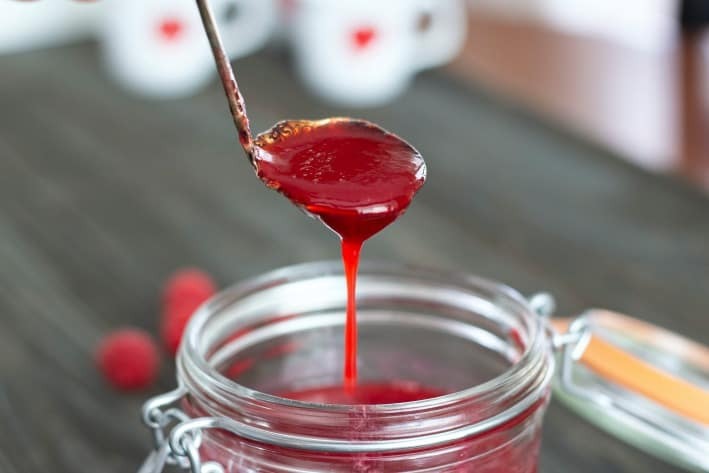 A simple Raspberry Puree easy to make from scratch without ingredients you don’t want. Pour over ice cream, cheesecake, brownies, or mix into hot chocolate. 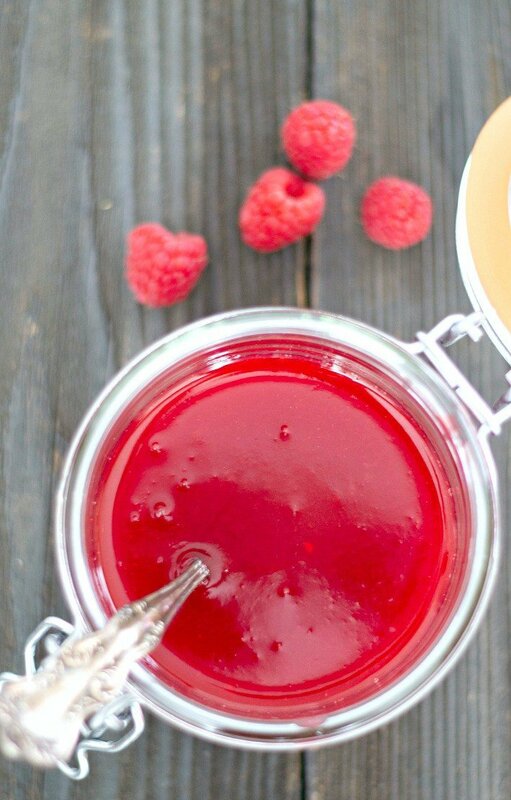 Here’s a recipe for simple, pure Raspberry Puree. 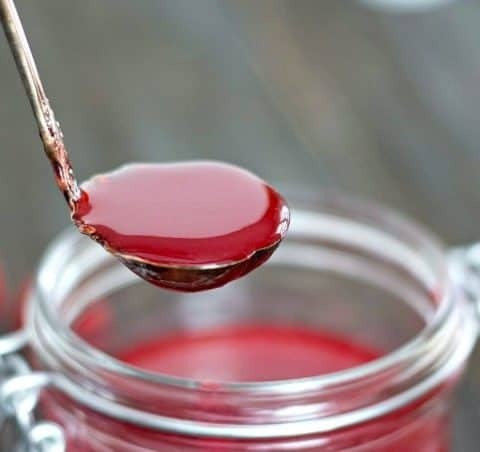 The uses are many, and the ingredients are only raspberries and a little bit of sugar (which you could omit), Lots of ice cream and dessert condiments have ingredients that you don’t want like artificial coloring, high fructose corn syrup or just way too much sugar. This puree is super quick with deep flavor and can be made on the fly, perfect for fresh raspberries that are about to lose their prime or excellent with frozen raspberries, too. Raspberries, sugar, and water start out in a small saucepan and get stirred to dissolve the sugar. Let the heat bring the mixture to enough of a simmer to break up the raspberries and release their juice. Also, the sugar finishes dissolving fully. You don’t need to reduce the liquids because the puree will thicken more as it cools and it’s not a jam we’re after here. After just a few minutes, pour the ingredients through a sieve into a bowl. Use a spoon or spatula to push the raspberry pulp through while leaving the seeds behind. If your sieve is not super fine, several seeds will get through which is totally fine. Most of the seeds will still be left behind. Add it to hot chocolate for a really decadent, rich chocolate beverage that will blow your mind. The puree adds thickness and subtle raspberry flavor that’s noticeable but won’t overpower the luscious chocolate notes. Use blackberries or strawberries or a combination that would be equally as delicious. I hope you’ll try the raspberry puree soon because it’s so fresh and delightful. Keep this and a pint of ice cream in the freezer and you’ve got a last minute dessert for drop-in guests or a single-serving for any pity party of one (hopefully never needed for that) or for a cozy night with your favorite movie. 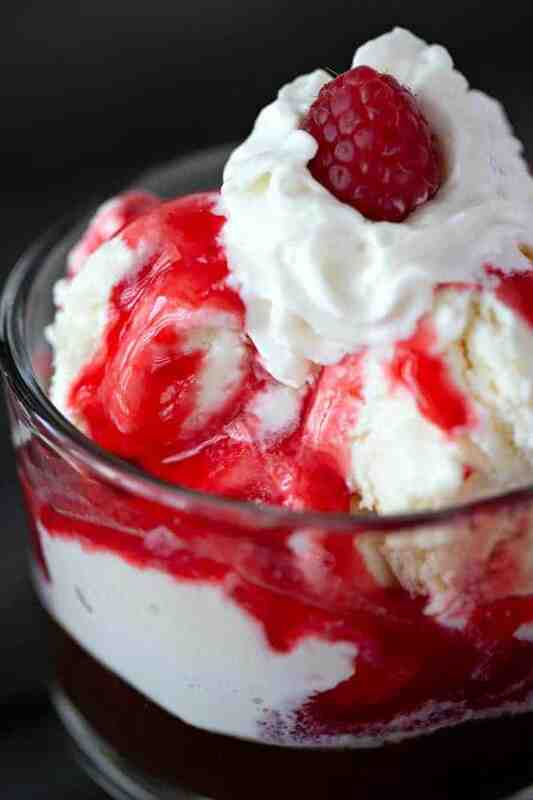 Simple to make, using fresh or frozen raspberries. The puree can be refrigerated for up to five days and frozen for several months. Use on ice cream, cheese cake, brownies, or even in hot chocolate. Add all ingredients to a small saucepan set over medium heat. Stir to combine and break up the raspberries just a little. You don't need to mash them much. They'll break up completely as they cook. Let ingredients come to a slow rolling boil, stirring occasionally until the liquid is just barely thicker than water. About 4-5 minutes. Remove the raspberry mixture from the heat and pour into a bowl set over a sieve. Using the back of a spoon, push the raspberries and their juice through the sieve to remove most of the seeds. The puree is ready to be poured over any dessert at this time. 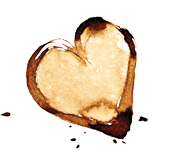 If making ahead for a later use, you may refrigerate for up to 5 days or freeze for up to 12 months. The raspberry puree is fabulous over pretty much any dessert you can think of. Try it over cheesecake, ice cream, or brownies. 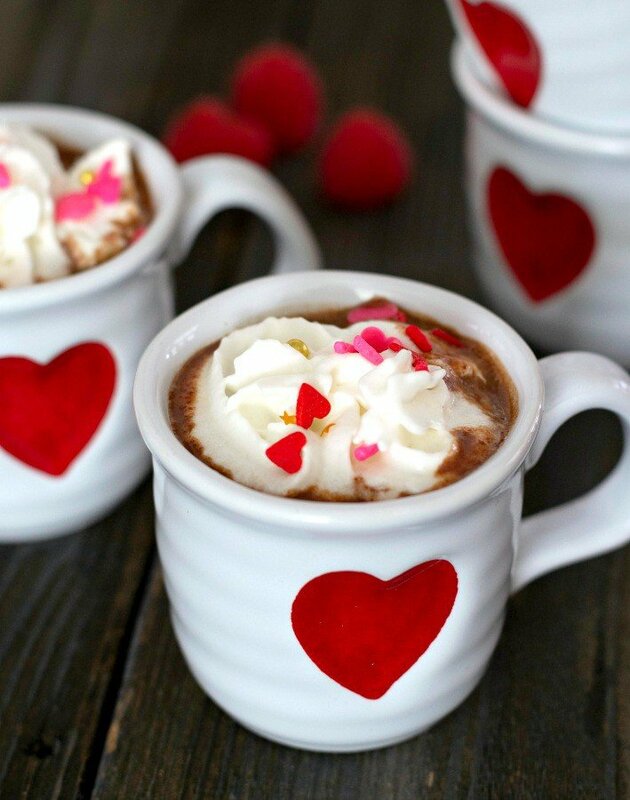 Even mixed into hot chocolate for a rich finish.